কিভাবে জানব কোন ধরণের রাজা আমার মধ্যে আছে আমার সহচর হিসাবে? তাহলে ভয় কীসের? কীবা হারাবার আছে মৃত্যুতে? "মুহাম্মদের আলো কোন অগ্নিপুজারি বা ইহুদিকে পরিত্যাগ করে না। তাঁর সৌভাগ্যের ছায়া যেন সবার উপর উজ্জ্বল হয়! তিনি সুপথে নিয়ে আসেন যারা পথভ্রষ্ট হয়েছিল মরুভূমিতে।"
"হাধা কিতাবুল- মসনবী ওয়া হুয়া উসুলু উসুলি উসুলিদ-দ্বীন ওয়া কাশুশাফুল –কোরআন"
"এই হচ্ছে মসনবী বই, এবং এটি (ইসলাম)ধর্মের মূলের মূলের মূল এবং এটি কোরআনের বর্ণনাকারী।"
↑ ক খ গ "UNESCO: 800th Anniversary of the Birth of Mawlana Jalal-ud-Din Balkhi-Rumi"। UNESCO। ৬ সেপ্টেম্বর ২০০৭। ২৯ জুন ২০০৯ তারিখে মূল থেকে আর্কাইভ করা। সংগ্রহের তারিখ ২৫ জুন ২০১৪। The prominent Persian language poet, thinker and spiritual master, Mevlana Celaleddin Belhi-Rumi was born in 1207 in Balkh, presently Afghanistan. ↑ ক খ গ H. Ritter, 1991, DJALĀL al-DĪN RŪMĪ, The Encyclopaedia of Islam (Volume II: C-G), 393. ↑ ক খ Ritter, H.; Bausani, A. "ḎJ̲alāl al-Dīn Rūmī b. Bahāʾ al-Dīn Sulṭān al-ʿulamāʾ Walad b. Ḥusayn b. Aḥmad Ḵh̲aṭībī." 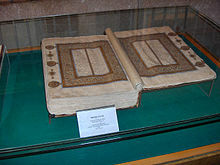 Encyclopaedia of Islam. Edited by: P. Bearman, Th. Bianquis, C.E. Bosworth, E. van Donzel and W.P. Heinrichs. Brill, 2007. Brill Online. 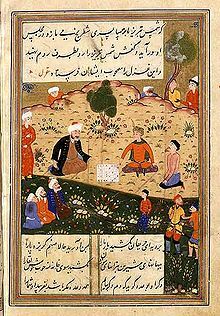 Excerpt: "known by the sobriquet Mewlānā, persian poet and founder of the Mewlewiyya order of dervishes"
↑ ক খ Seyyed Hossein Nasr, "Islamic Art and Spirituality", Suny Press, 1987. p. 115: "Jalal al-Din was born in a major center of Persian culture, Balkh, from Persian speaking parents, and is the product of that Islamic Persian culture which in the 7th/13th century dominated the 'whole of the eastern lands of Islam and to which present day Persians as well as Turks, Afghans, Central Asian Muslims and the Muslims of the Indo-Pakistani subcontinent are heir. It is precisely in this world that the sun of his spiritual legacy has shone most brillianty during the past seven centuries. 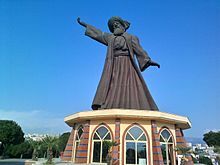 The father of Jalal al-Din, Muhammad ibn Husayn Khatibi, known as Baha al-Din Walad and entitled Sultan al-'ulama', was an outstanding Sufi in Balkh connected to the spiritual lineage of Najm al-Din Kubra." ↑ ক খ Annemarie Schimmel, The Triumphal Sun: A Study of the Works of Jalaloddin Rumi, SUNY Press, 1993, p. 193: "Rumi's mother tongue was Persian, but he had learned during his stay in Konya, enough Turkish and Greek to use it, now and then, in his verse". ↑ Louis Gardet, "Religion and Culture" in the The Cambridge History of Islam—Part VIII: Islamic Society and Civilization, edited by P. M. Holt, Ann K. S. Lambton, Bernard Lewis, Cambridge University Press (1977), p. 586: "It is sufficient to mention 'Aziz al-Din Nasafi, Farid al-Din 'Attar and Sa'adi, and above all Jalal al-Din Rumi, whose Mathnawi remains one of the purest literary glories of Persia"
↑ ক খ C.E. Bosworth, "Turkmen Expansion towards the west" in UNESCO HISTORY OF HUMANITY, Volume IV, titled "From the Seventh to the Sixteenth Century", UNESCO Publishing / Routledge, p. 391: "While the Arabic language retained its primacy in such spheres as law, theology and science, the culture of the Seljuk court and secular literature within the sultanate became largely Persianized; this is seen in the early adoption of Persian epic names by the Seljuk rulers (Qubād, Kay Khusraw and so on) and in the use of Persian as a literary language (Turkmen must have been essentially a vehicle for everyday speech at this time). 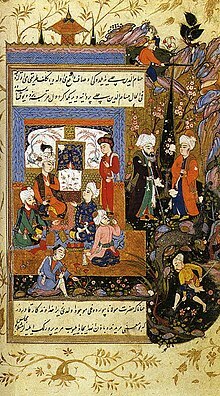 The process of Persianization accelerated in the 13th century with the presence in Konya of two of the most distinguished refugees fleeing before the Mongols, Bahā' al-Dīn Walad and his son Mawlānā Jalāl al-Dīn Rūmī, whose Mathnawī, composed in Konya, constitutes one of the crowning glories of classical Persian literature." 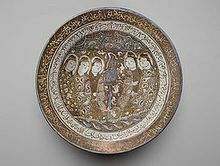 ↑ ক খ Seyyed Hossein Nasr, "Islamic Art and Spirituality", Suny Press, 1987. p. 115: "Jalal al-Din was born in a major center of Persian culture, Balkh, from Persian speaking parents, and is the product of that Islamic Persian culture which in the 7th/13th century dominated the 'whole of the eastern lands of Islam and to which present day Persians as well as Turks, Afghans, Central Asian Muslims and the Muslims of the Indo-Pakistani and the Muslims of the Indo-Pakistani subcontinent are heir. It is precisely in this world that the sun of his spiritual legacy has shone most brilliantly during the past seven centuries. 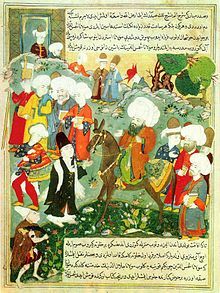 The father of Jalal al-Din, Muhammad ibn Husayn Khatibi, known as Baha al-Din Walad and entitled Sultan al-'ulama', was an outstanding Sufi in Balkh connected to the spiritual lineage of Najm al-Din Kubra." ↑ Grousset, Rene, The Empire of the Steppes: A History of Central Asia, (Rutgers University Press, 2002), 157; "…the Seljuk court at Konya adopted Persian as its official language.". ↑ ক খ গ ঘ Franklin Lewis, Rumi: Past and Present, East and West, Oneworld Publications, 2008 (revised edition). pp. 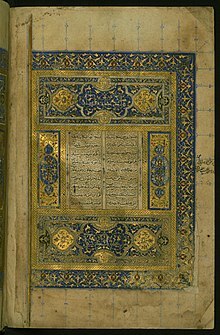 90–92: "Baha al-Din’s disciples also traced his family lineage to the first caliph, Abu Bakr (Sep 9; Af 7; JNO 457; Dow 213). This probably stems from willful confusion over his paternal great grandmother, who was the daughter of Abu Bakr of Sarakhs, a noted jurist (d. 1090). 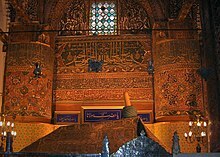 The most complete genealogy offered for family stretches back only six or seven generations and cannot reach to Abu Bakr, the companion and first caliph of the Prophet, who died two years after the Prophet, in C.E. 634 (FB 5–6 n.3)." ↑ H. Crane "Notes on Saldjūq Architectural Patronage in Thirteenth Century Anatolia," Journal of the Economic and Social History of the Orient, v. 36, n. 1 (1993), p. 18. ↑ ক খ Franklin Lewis, Rumi: Past and Present, East and West, Oneworld Publications, 2000. ↑ Mango, Andrew, Atatürk: The Biography of the Founder of Modern Turkey, (2002), আইএসবিএন ৯৭৮-১-৫৮৫৬৭-০১১-৬.